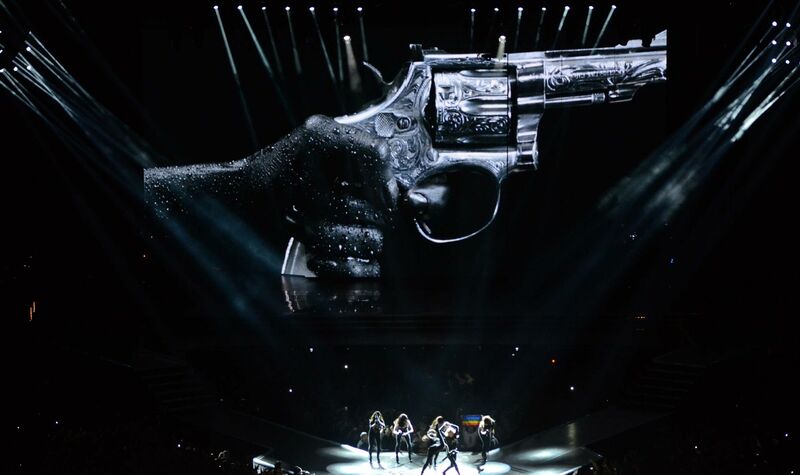 Moment Factory, the Canadian team behind the concept, visual imagery and lightning of 12 songs of Madonna’s MDNA Tour, gives us an exclusive look at their incredible work! You absolutely do not want to miss the unique pictures by Moment Factory! After a widely acclaimed collaboration for the NFL’s Super Bowl XLVI Halftime Show, Madonna invited Moment Factory to create multimedia content for her new world tour. The team had four months to develop concepts, create designs and produce multimedia content for 12 songs. The process required full 2D and 3D animation production as well as the coordination of multiple video shoots in India, New York and Montreal. Brought to life with striking imagery, the dynamic multimedia environment takes spectators on a journey deep into Madonna’s imagination and her famously creative performances. The artists at Moment Factory used the full potential of the unique video surfaces on the MDNA set, crafting visual universes that complement the choreography and intensify the story, drama, and emotion of each song. The main stage surface contains 36 cubes, all motorized and covered with LEDs, which are raised and lowered during the performance to create a constantly evolving visual environment. The results are richly varied: “Girl Gone Wild” is set in a photorealistic 3D cathedral; “I’m A Sinner” takes the audience on a kaleidoscopic train trip through India; and the grand finale, “Celebration,” is a full-throttle blast of shape, colour and movement that pushes the LED cubes to their limits. 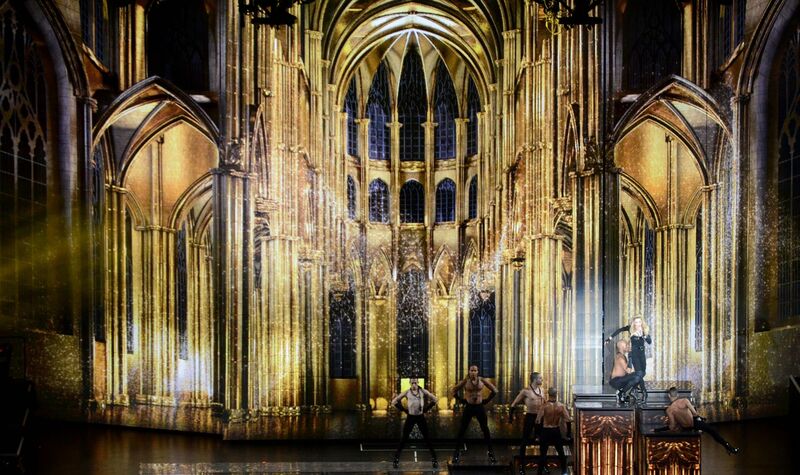 Every step in the rigorous production process was carried out in close collaboration with Madonna and her team, including show director Michel Laprise of Cirque du Soleil, set designer Mark Fisher, lighting designer Al Gurdon, production manager Jake Berry, video technical director Stefaan Desmedt and choreographers Rich + Tone.